The Northern Michigan wine industry has aged well: since the first experimental vine plantings in the 60s and 70s, more than three dozen Northern Michigan wineries have taken root. 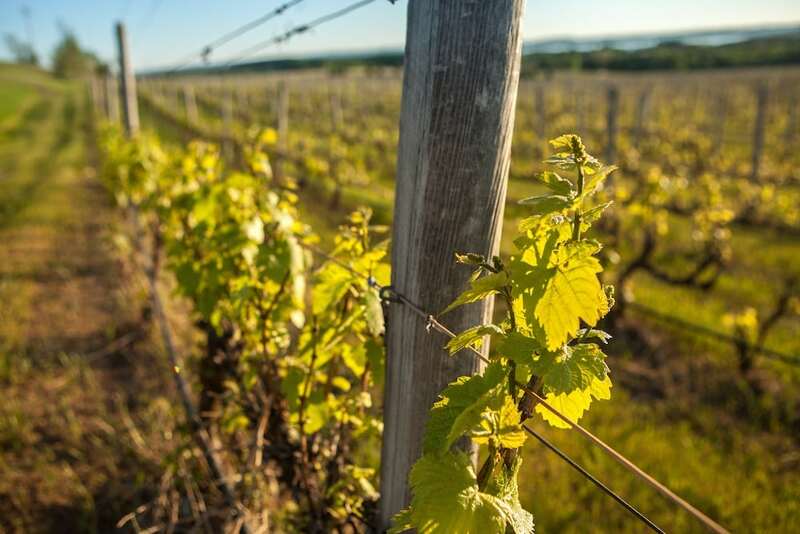 The majority of those wineries are located on estate vineyards on the Old Mission Peninsula north of Traverse City and in Leelanau County—two regions where Lake Michigan and other bodies of water moderate otherwise extreme seasonal temperatures. Beyond Old Mission and Leelanau, a small group of innovative newcomers have cropped up at the Tip of the Mitt near Petoskey and Harbor Springs. Northern Michigan’s wineries—and the wines they produce—are a gift that everyone (of legal drinking age, anyway) can enjoy, and we want to make your winery trips and sips as pleasant and effortless as possible. Read on to find basic information and useful links that provide a crash course in Northern Michigan wine. The wineries of Northern Michigan divide into three neat geographic categories: Leelanau County, Old Mission Peninsula and Traverse City, and Petoskey and Harbor Springs. The first Northern Michigan vineyards were planted in Leelanau County at Boskydel Vineyard in 1965. With Lake Michigan to the west and Grand Traverse Bay to the east, Leelanau County forms a triangular-shaped peninsula, the southeast corner of which is located near Traverse City. Leelanau County has garnered a well-deserved reputation as an outdoor and foodie paradise—just ask celebrity chef and Leelanau summer resident Mario Batali about Northern Michigan’s food and drink scene—and the county’s 25 plus wineries have certainly contributed to Leelanau’s culinary and cultural fabric. North of Traverse City, there are 10 wineries on Old Mission Peninsula. Nine of them have organized as the Wineries of Old Mission Peninsula (WOMP). 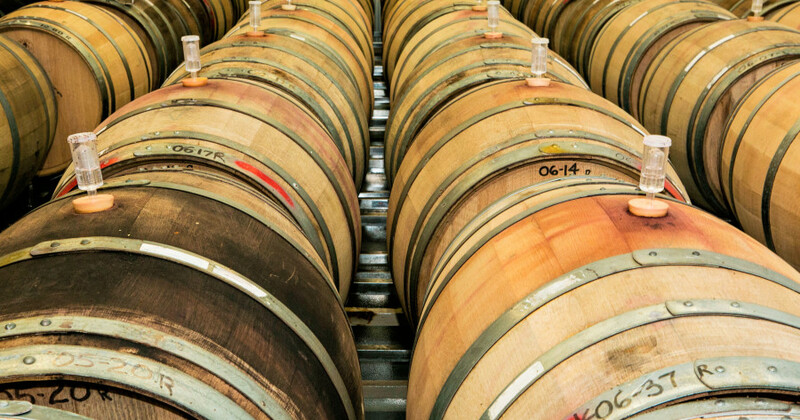 Among these wineries are industry stalwarts like Chateau Chantal and Chateau Grand Traverse. The Old Mission Peninsula is a narrow strip of land that stretches for 18 miles north of Traverse City; the peninsula is flanked by East and West Grand Traverse Bay on either side. Old Mission has historically been an agricultural Eden: in the last 40 years, the peninsula’s fruitful cherry orchards have been slowly supplanted by vineyards growing numerous classic vinifera varieties like riesling, chardonnay and the three pinots. Several urban wineries and tasting rooms are within Traverse City, most notably Left Foot Charley, the whites of which are highly acclaimed. Follow the link below to learn more about the wineries in and around Traverse City and the Old Mission Peninsula. While reds are gaining ground in Northern Michigan—we’ll get to that later—quality white wines are largely responsible for the flourishing reputation of Northern Michigan wineries. Above all others, riesling is the preeminent variety grown in Northern Michigan, although other whites like chardonnay, pinot blanc, pinot gris and their blends stock many a shelf throughout Northern Michigan. Beyond the traditional reds and whites are hybrids that have been developed to sustain Michigan’s harsh temperatures. Grape vines are not particularly robust plants, so breeding vines that grow well despite chronically cold temps and destructive diseases allows for wine to be produced in locations where traditional varieties would be unproductive. These hybrids—many of which were developed at the University of Minnesota—have been planted throughout Northern Michigan, especially in the Upper Peninsula. The wineries of Petoskey and Harbor Springs—where the weather is considerably colder than in Traverse City and surrounding areas—are rife with red hybrids like Marquette and Frontenac and white hybrids like La Crescent. To keep up to date on Northern Michigan wine and winery developments, subscribe to MyNorth’s Food & Wine E-Newsletter.